NEW YORK, Dec 12, 2013/ — Known for its clean lines and sophisticated aesthetic, Sandro has collaborated with Fusalp, the company that invented the Alpine stretch pants, FIZZ, to create a capsule skiwear collection that is both sportive and refined. Additionally, Sandro has announced that the new Columbus location here in New York will unveil an exclusive capsule skiwear collection in collaboration with acclaimed outerwear brand, Fusalp. Modeled after Fusalp’s 1952 Range, the capsule collection is designed to be worn both on and off the slopes by reinventing classic styles from the iconic French brands. Incorporating a rocker elegance with high-quality fabric and modern technical characteristics the capsule includes jackets, ski pants and sweaters all inspired by bikers of the 1950’s. Pieces include detailed stitching and thermal material for extra comfort and warmth. “Fusalp is known for being a technology expert when it comes to producing outerwear. We felt that their product and design, meshed with ours, was the perfect merger between two French brands,” said Patrick Valeo, President of SMCP, US. 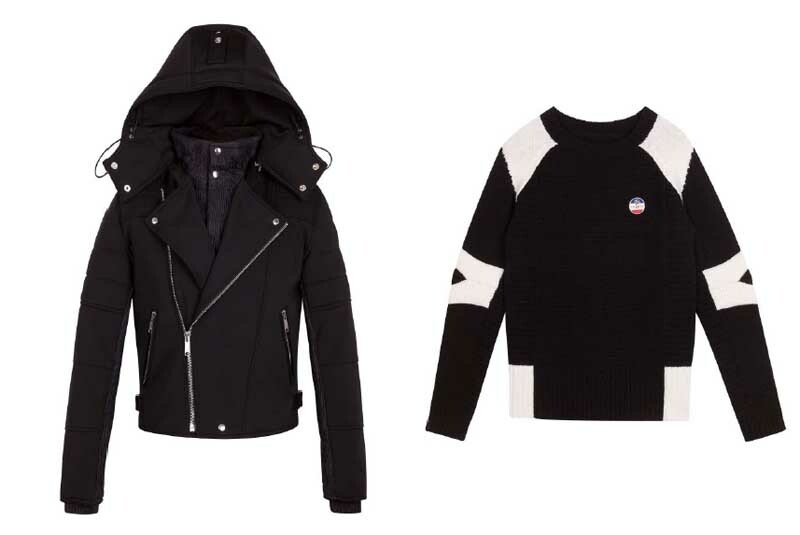 “The collaboration between Sandro, a premium ready to wear brand, and a ski brand like Fusalp who possess the technical knowledge of producing such great outwear pieces seemed like a fantastic partnership for a winter capsule collection,” Valeo added. Pieces from the collection, including the biker jacket, keep in line with Sandro’s edgy design and emblematic of the bad boys from the 50’s, the period where Fusalp originates from. For information please visit www.sandro-paris.com.